Jackson Stewart’s retro-stylin’ horror feature BEYOND THE GATES has a lot of genre fans looking fondly back to that once-popular trend of VHS-based interactive board games like NIGHTMARE, in which players are guided by the instructions and time limits decreed by an onscreen game-master. Those players’ fates are decided not by a roll of the dice, but by commands issued from video characters like NIGHTMARE’s “Gatekeeper” (who vaguely resembled a trash-talking Emperor Palpatine). There are many non-horror VHS games from that era, but the spooky ones are most fondly remembered, and some of their franchises continue in digital form today. 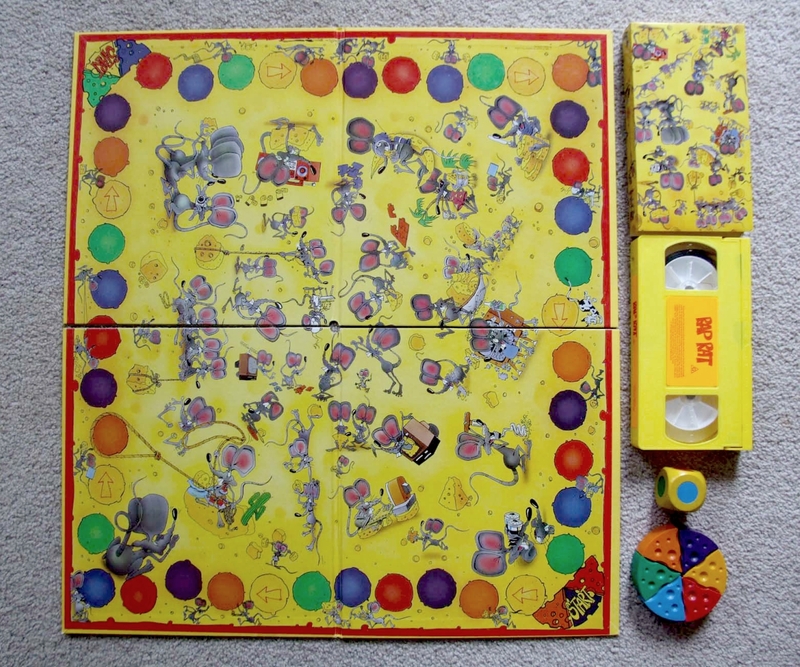 One of those non-genre VHS games may not have been intended to scare its players… but according to a rumor which has persisted for a couple of decades, the alleged history of an early ’90s Australian oddity known as RAP RAT makes it the scariest (and potentially most dangerous) interactive board game ever made… and yes, this thing is 100% real. You can still buy a working copy on eBay. The origin of one unnamed user’s nightmarish account about their experience with the game has not been verified, but the content of their post recently surfaced on the Creepypasta Wiki. According to this source, the NIGHTMARE game was too scary for them to play as a child, so their mother purchased the seemingly kid-friendly RAP RAT as a “safer” alternative… which turned out to be a major mistake. 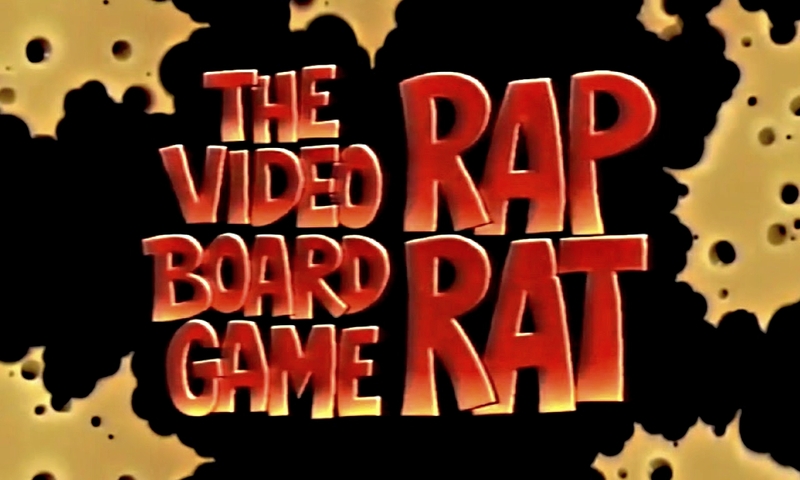 On the surface, RAP RAT seems like a silly but straightforward board game, but features the title character — a bizarre, hideous-looking rat puppet with an abrasive speaking voice — dictating the rules to the players via the TV screen. 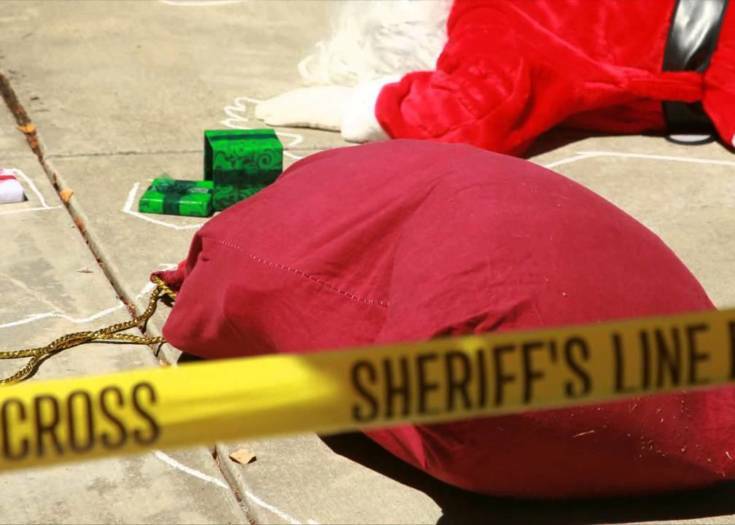 Then, instead of being guided through game play, the kids were assaulted with horrifying images on the TV screen — including footage of children being stung in the eyes by hornets, falling into pits of writhing snakes and spiders, and being injected with syringes of sinister-looking green fluid. 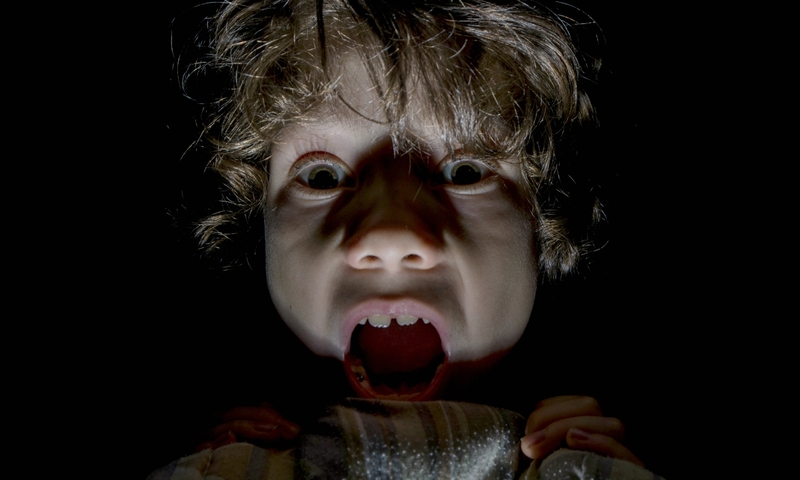 The kids ran screaming to the relative safety of their bedroom, and while the author recalls being plagued by vivid nightmares afterward, he took some comfort in knowing their mother had stowed the game away, never to be played again. That is, until years later, when the author was a young adult preparing to move out of his parents’ home. While packing, he found the game box crammed at the back of the top shelf in his bedroom closet. 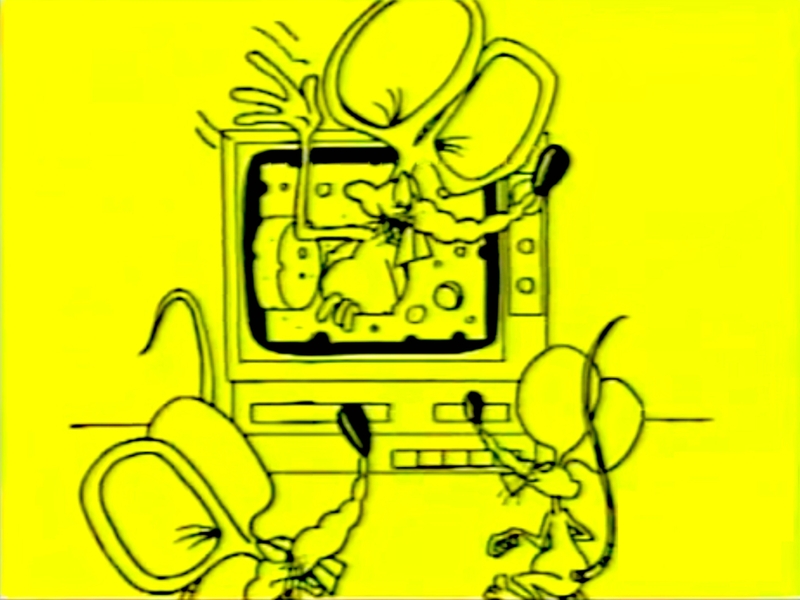 Overcome with curiosity about the game which had scared him so long ago, he decided to take another look at RAP RAT. 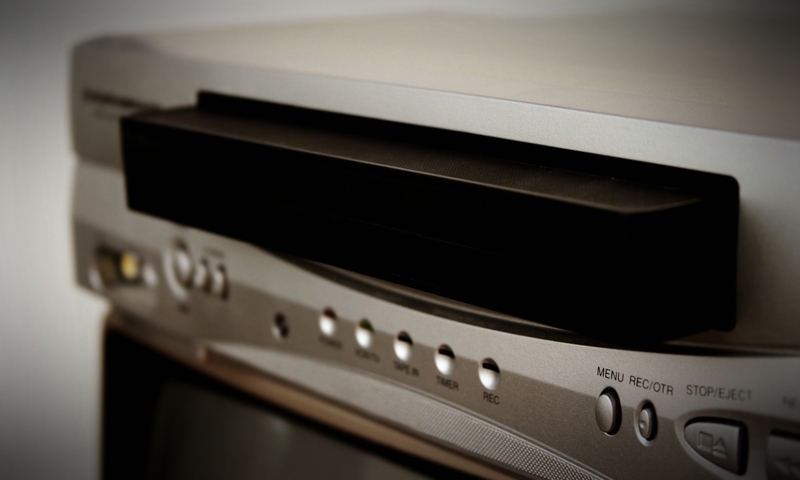 Borrowing a VCR from a neighbor, the author popped in the tape and waited to see if he’d encounter the same hideous images he remembered from his childhood. 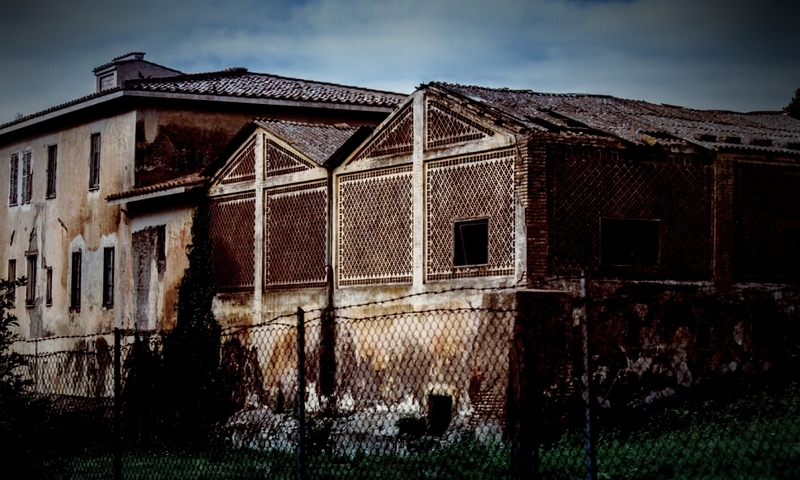 The images were completely different this time… but no less terrifying and surreal; they included a blood-soaked clown, a shuddering woman trapped in a dark room and a man burning his hand on a shaft of white-hot metal. 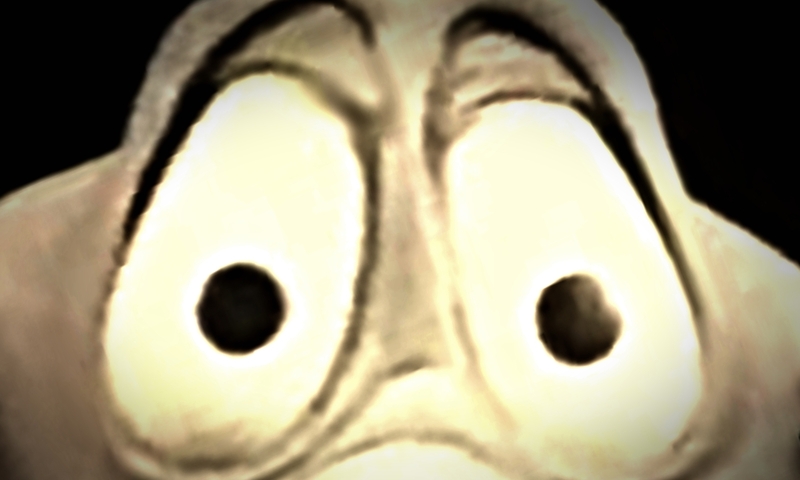 In the background, he could hear the scratching of hideous claws, signaling what he assumed to be the arrival of the horrible Rap Rat himself. 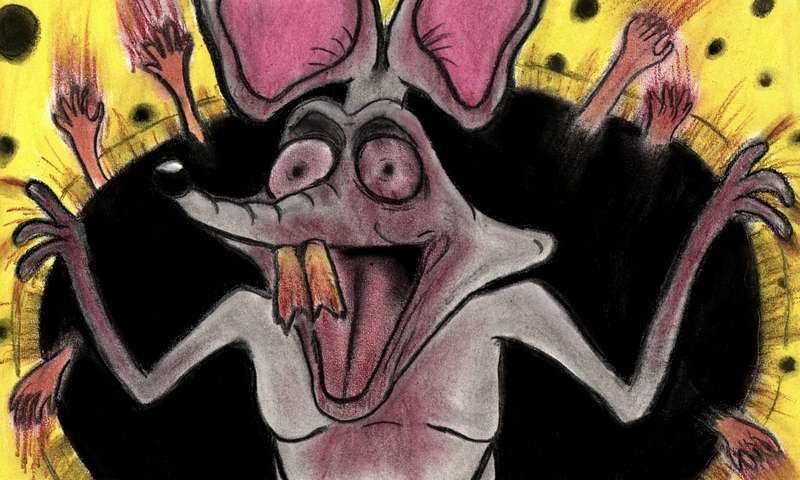 But this time around, Rap Rat didn’t look like the outrageous rubber puppet he remembered… this creature looked alive. It was pointing at him — and smiling with sadistic menace. As he stared at the screen, half-paralyzed in shock, the author failed to realize for several minutes that the scratching sound wasn’t coming from the television speakers… but from outside the house. Something huge seemed to be trying to claw its way in. The author switched off the video, but that horrible sound continued, escalating in volume… until suddenly and abruptly, it stopped. He stared at the blank screen for what seemed like forever, breathing heavily, hearing his heart pound against his ribs. 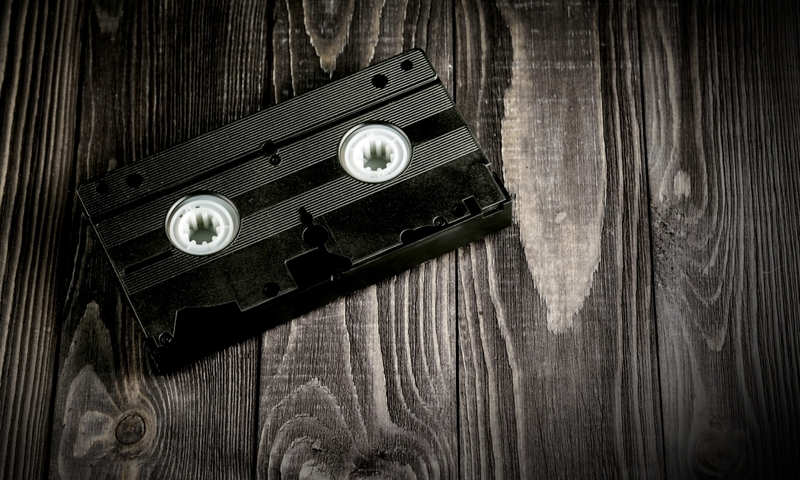 At last, he reached tenuously toward the VCR and ejected the tape… but when he took hold of the cassette, his fingers seared with pain, as if he’d touched an open flame. 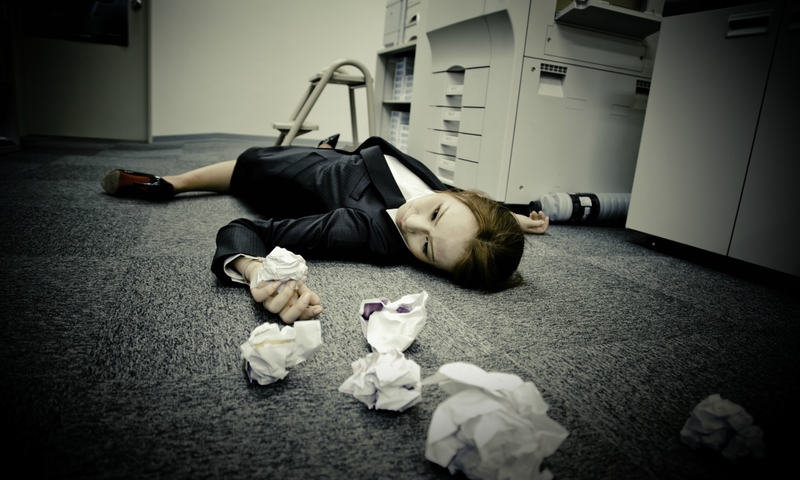 He flinched away reflexively, and the tape clattered to the floor. 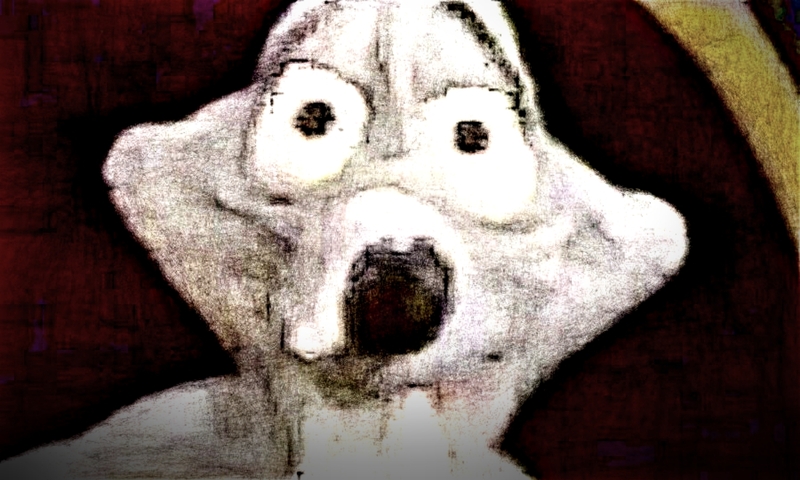 The nightmares he remembered from his childhood following his first experience with RAP RAT then returned in full force… but this time, they were even more vivid and detailed. 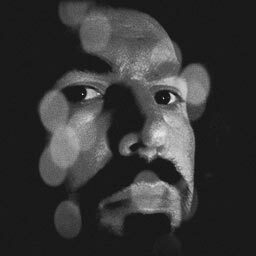 These dreams also had one element in common: he could see and hear something scratching across the floor of his bedroom… and it sounded like the thing was dragging something heavy. Determined to solve the mystery and end the nightmares, the author called his mother to find out where she’d purchased the game. She gave him a store’s address, and he was able to trace that vendor directly to the company which manufactured and distributed RAP RAT. 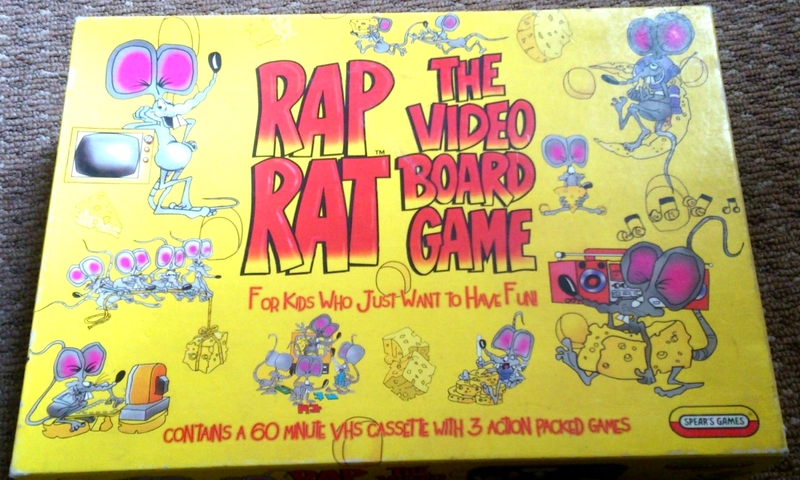 The author learned the company went out of business shortly after the release of the game — which was not originally titled “RAP RAT.” This game was the final product to come out of the company’s main manufacturing plant in Haiti… and it’s here the author’s research uncovered the game’s darkest secret: apparently, the Haitian factory had illegally employed child labor, and one very young girl working on one of their industrial sewing machines had died in a gruesome accident. The girl’s mother demanded accountability from the plant’s management, but her protests were dismissed… so she vowed revenge, declaring that all products touched by her daughter’s blood would hence be supernaturally contaminated by a deadly “fear demon” named APARAT. The factory’s management laughed off the woman’s warnings — to the extent that they retitled the game “RAP RAT” as a crude anagram of the demonic name the bereaved woman repeated to them. That’s when a series of unexplained and ghastly events began to plague the plant’s managers and staff, as well as that of the parent company: reports of employees being chased by a strange creature, or hearing a maniacal laugh coming from the darker corners of the shop… followed by a series of fatal accidents, suicides and other unexplained deaths. The resulting scandal drove the parent company out of business, and the plant in Haiti has since been purchased by a rival company. In another odd detail, the original rat puppet prototype has also gone missing — along with its designers. Never, ever say the word “APARAT” out loud. Saying a demon’s name aloud is an invitation to them — a calling. If you have already done this, it cannot be undone. Do not try to speak to or contact APARAT. Avoid being awake between 3:30 am and 4 am, when APARAT is most likely to appear — most likely in the form of Rap Rat. A lot of people have been watching the “normal” video from the “normal” RAP RAT board game. 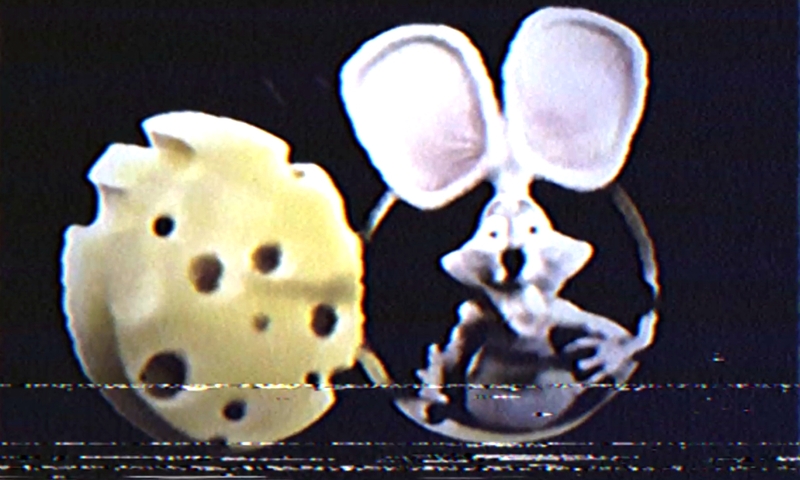 That’s the thing: Rap Rat will appear to be normal. He will trick you into thinking he’s just a puppet. But believe me… he’s not. 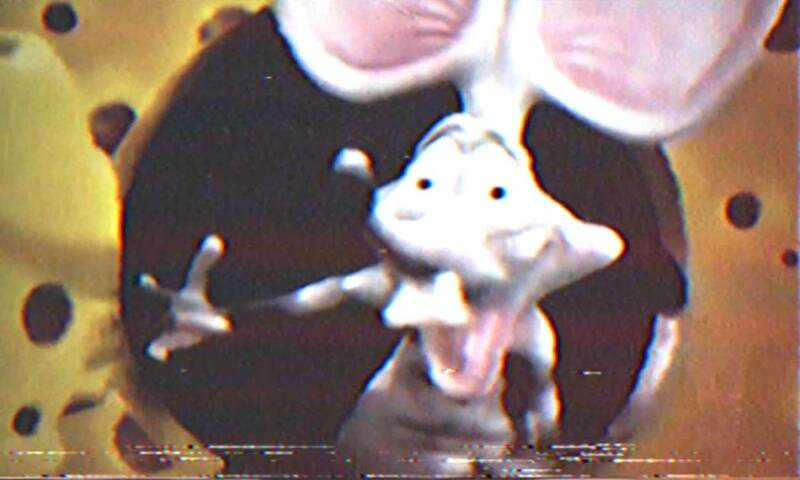 If you choose to ignore those words of caution, below we’ve posted the complete “normal” version of the RAP RAT video, as captured by a collector from a copy of the original VHS tape. 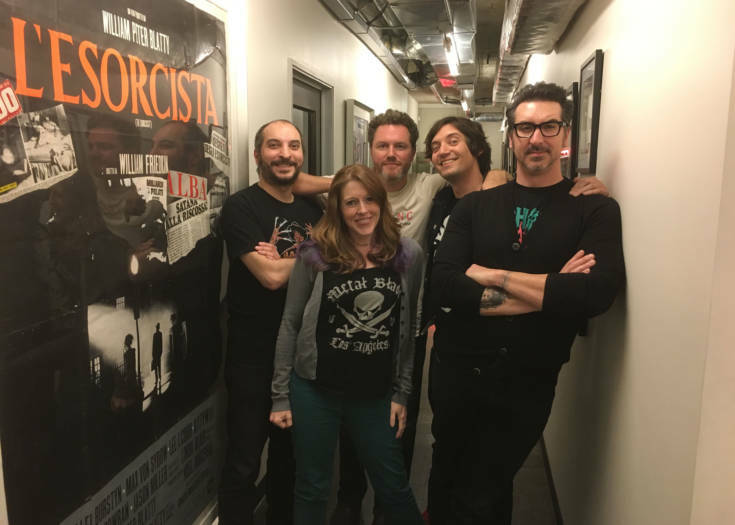 Previous Story SHOCK WAVES Episode 29: Going BEYOND THE GATES With Jackson Stewart!